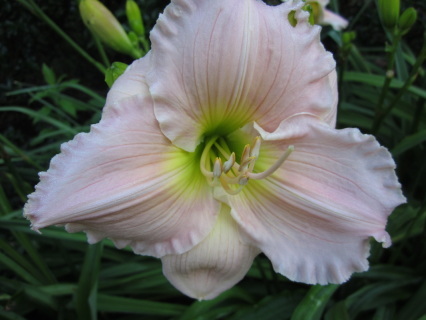 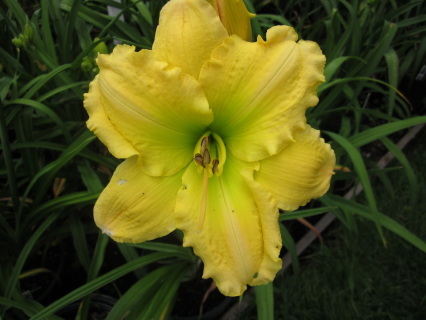 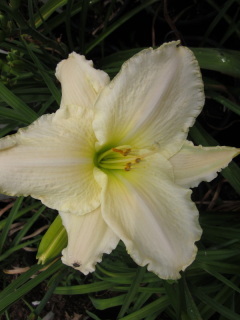 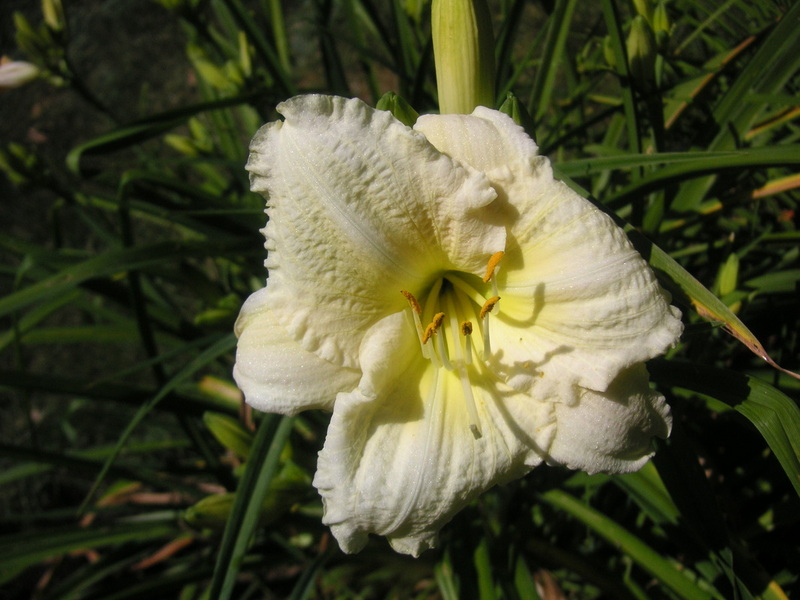 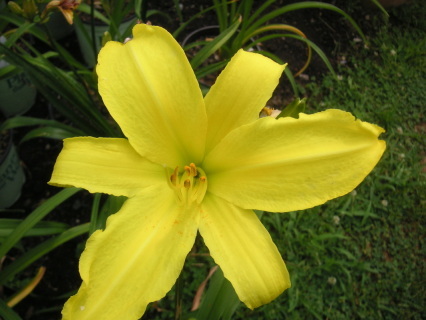 Absolute Zero(Millikan-B., 1986)height 20", bloom 4.5", season M, Semi-Evergreen, Diploid, Near white self with chartreuse throat. 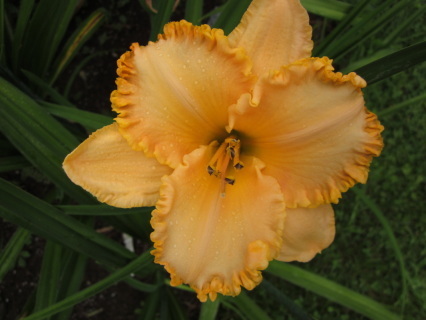 (Joan Senior × Blanchita)Aflutter (Saxton, 1959)height 36", season MLa, Evergreen, Diploid, Purple and canary bicolor. 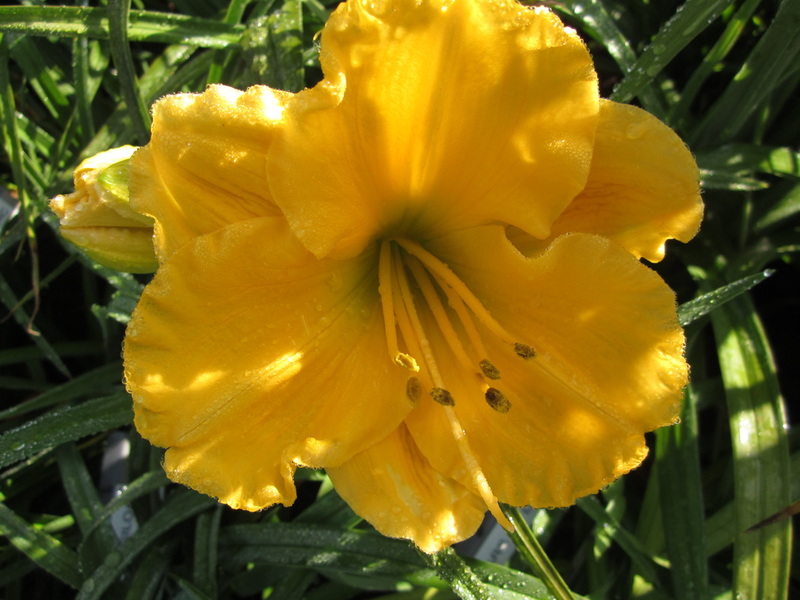 Aflutter (Saxton, 1959) height 36", season MLa, Evergreen, Diploid, Purple and canary bicolor. 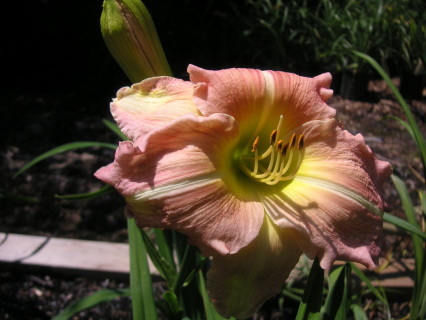 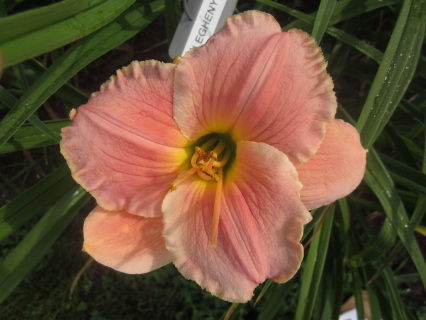 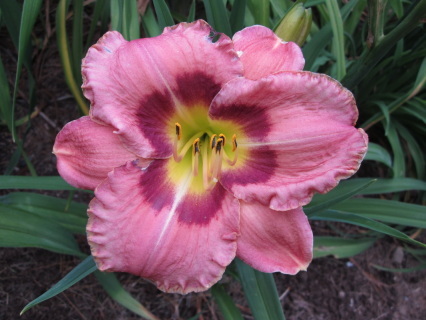 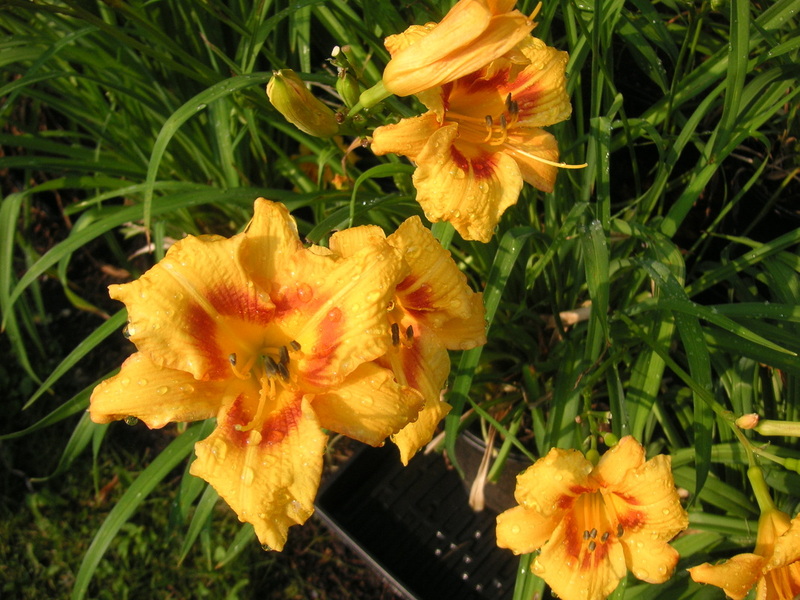 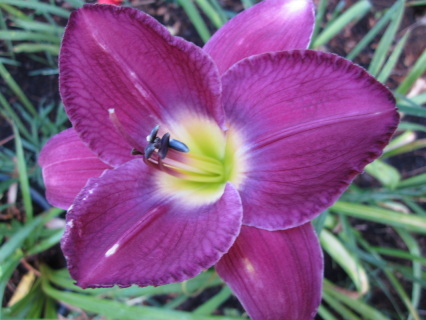 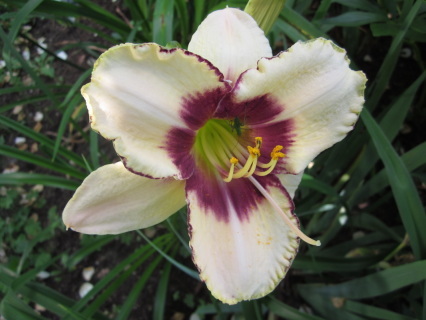 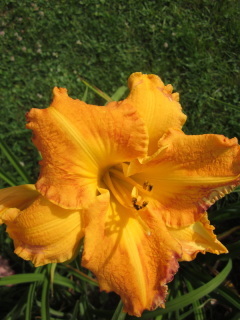 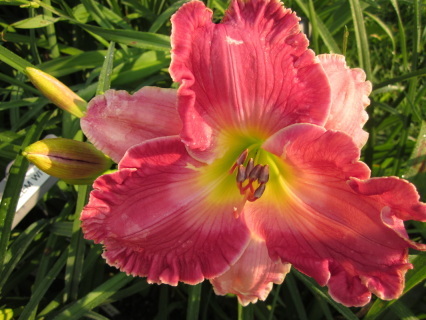 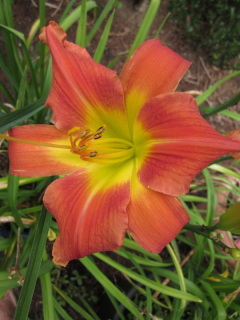 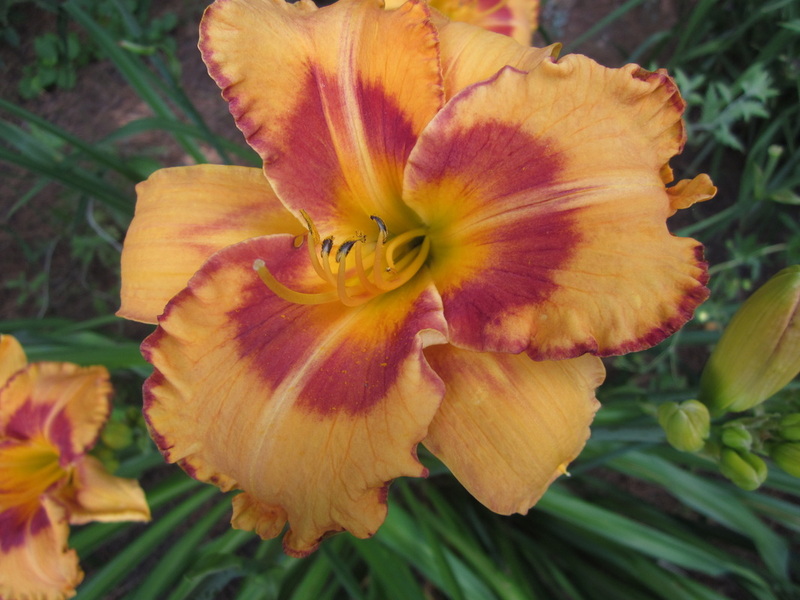 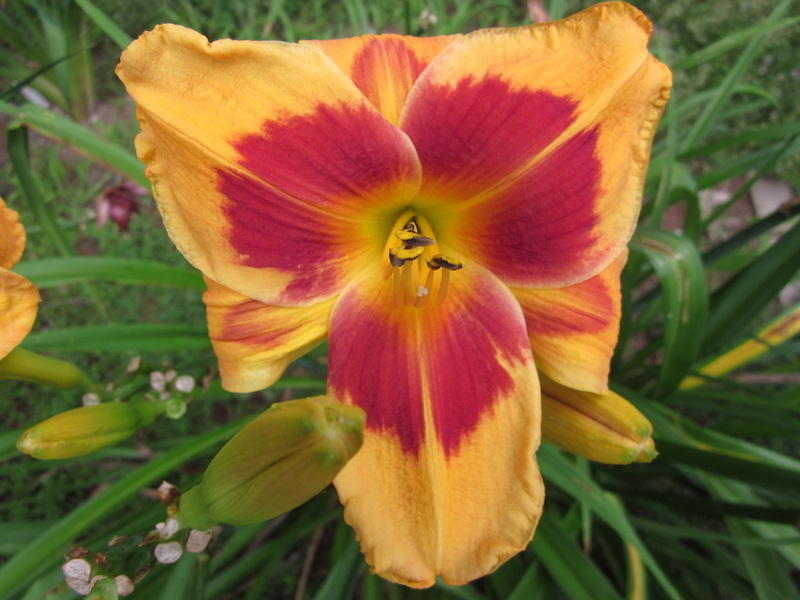 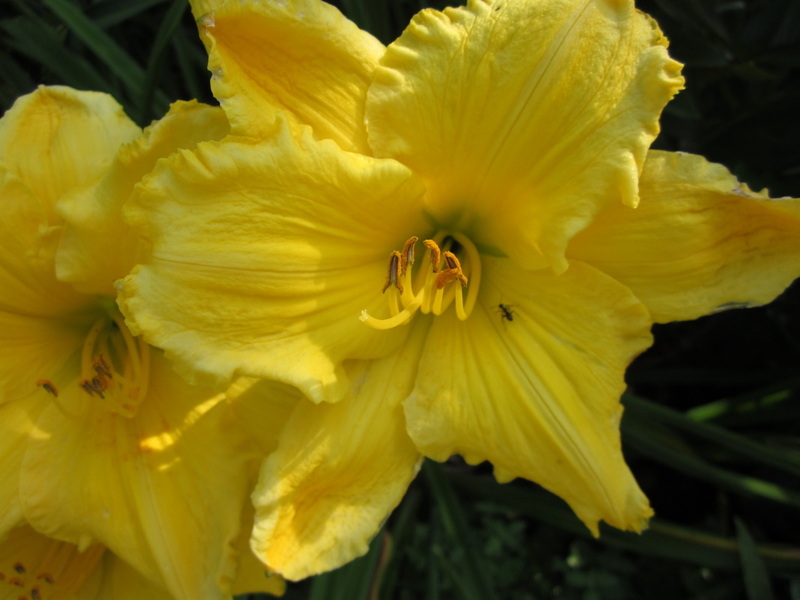 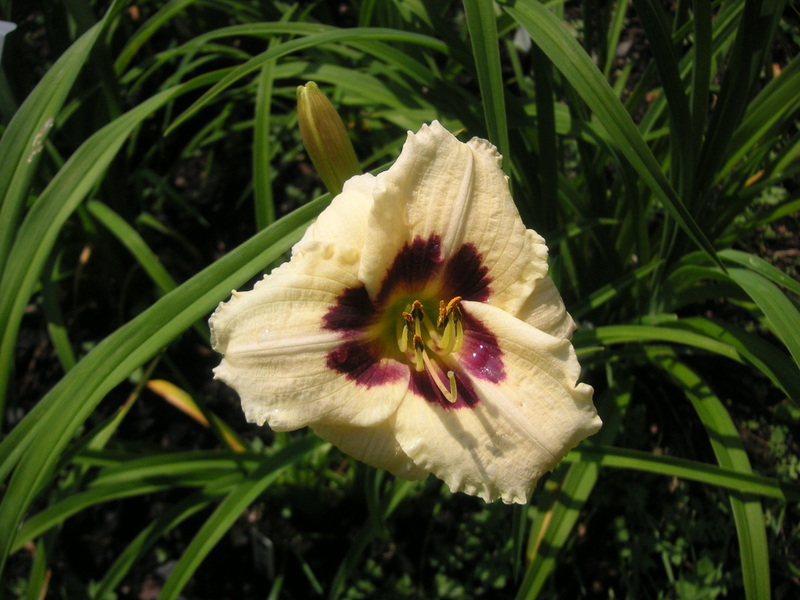 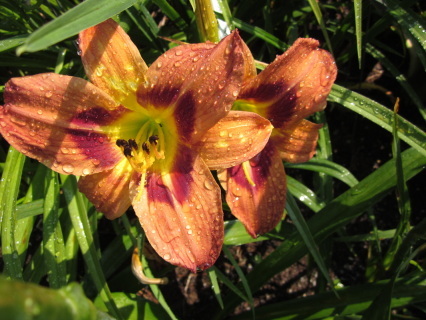 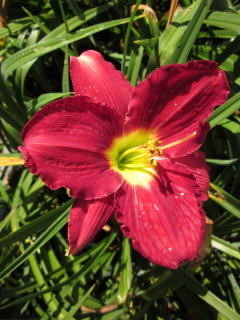 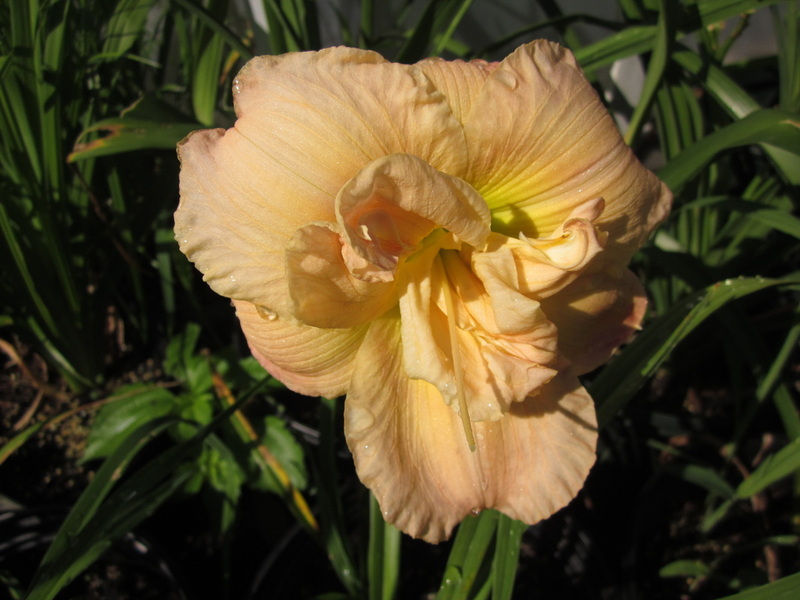 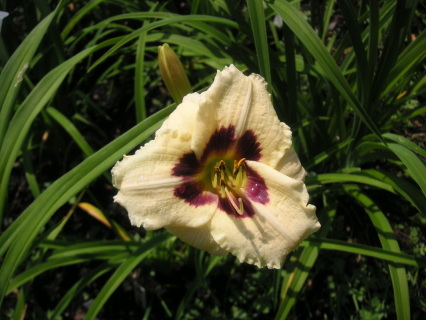 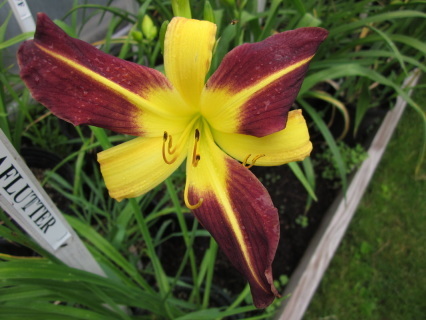 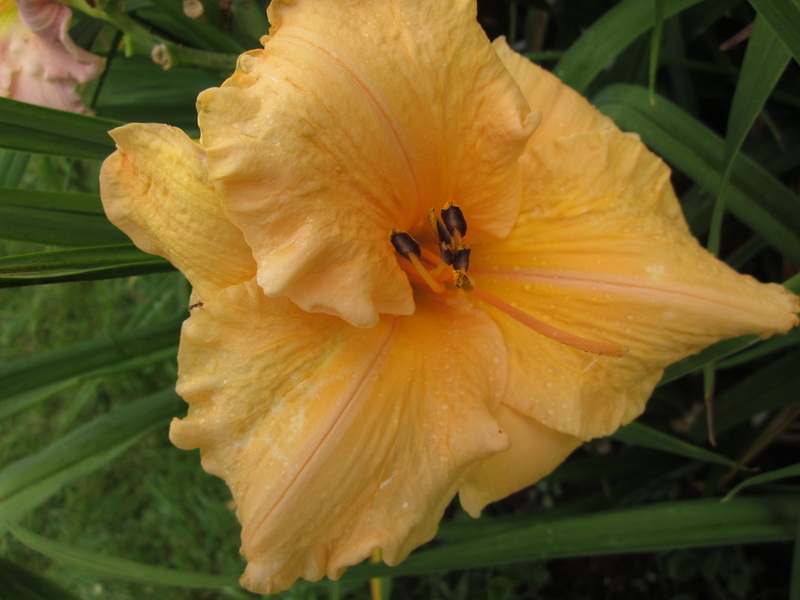 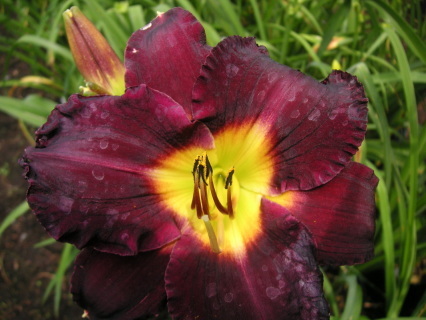 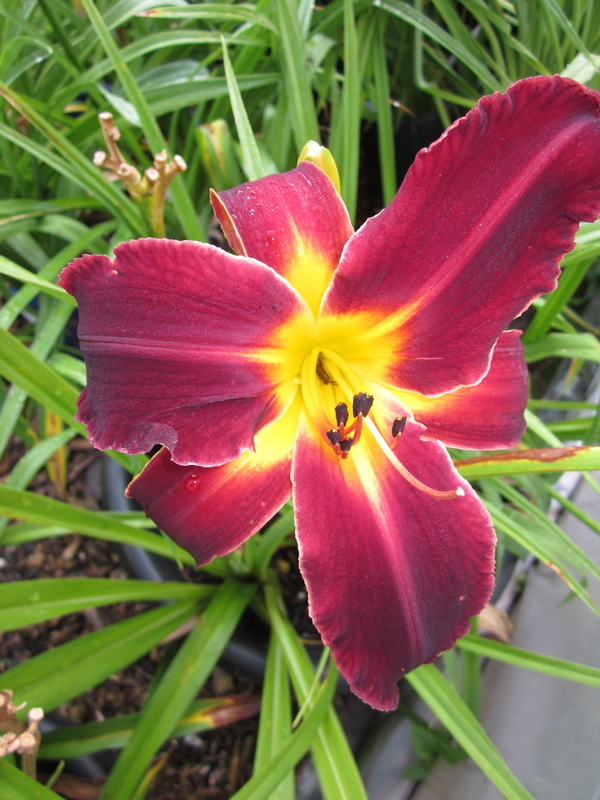 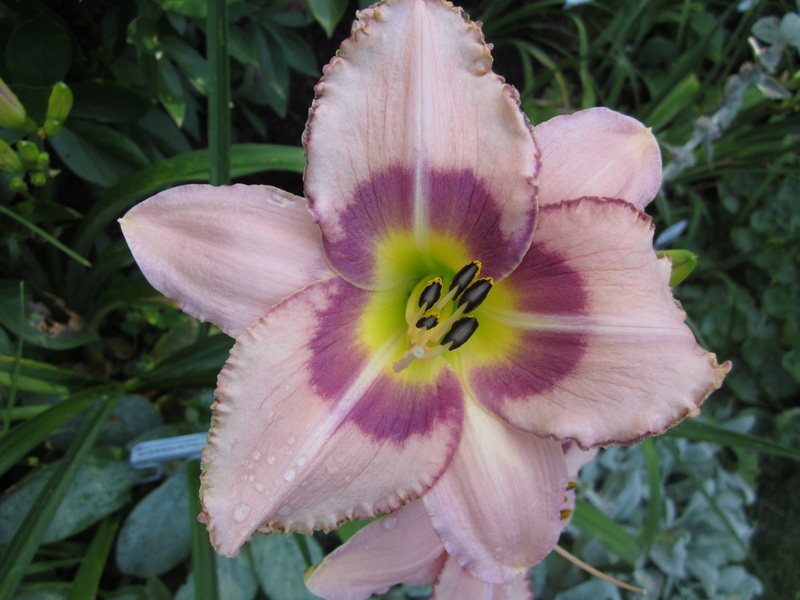 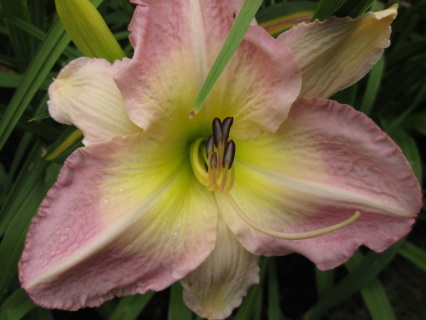 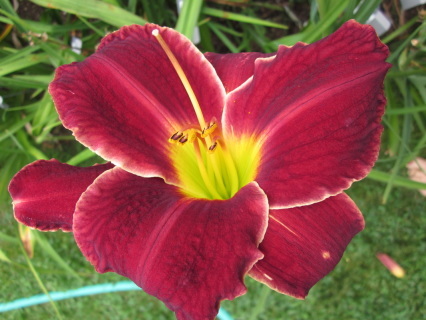 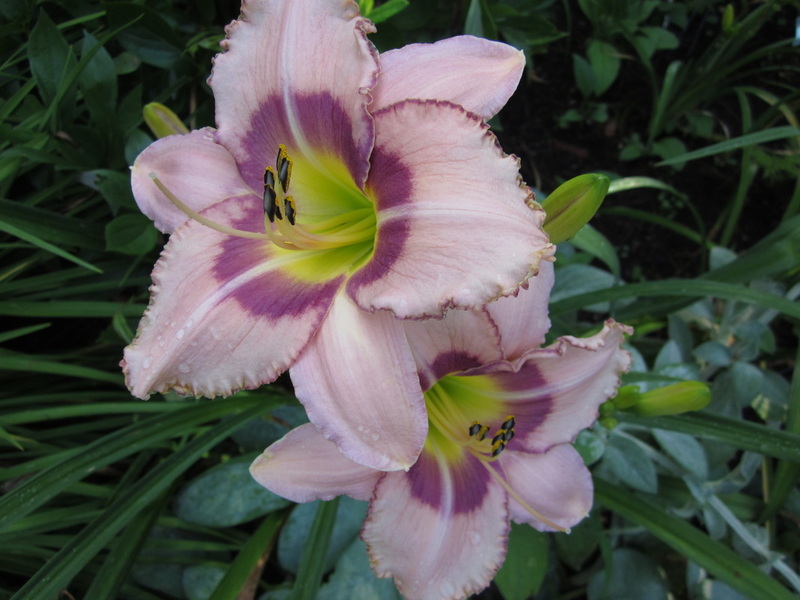 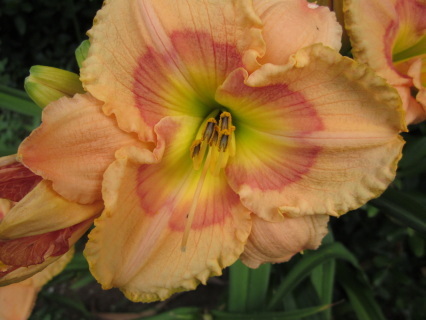 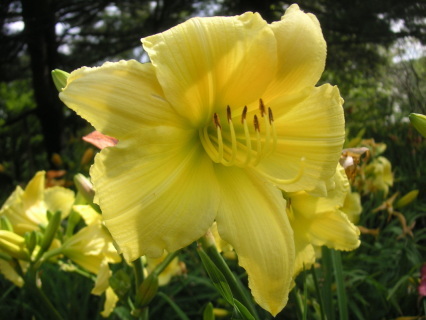 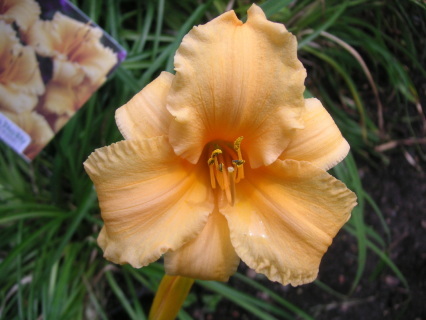 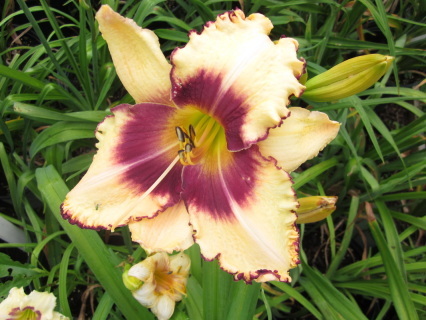 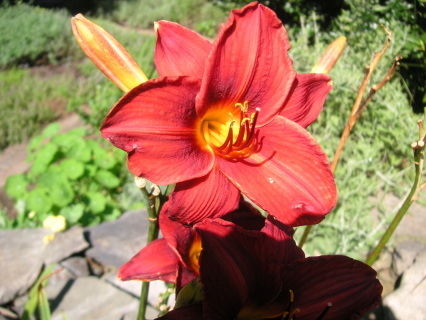 Autumn Red (Nesmith, 1941) height 39", season M, Rebloom, Dormant, Diploid, RD1: Red dark self. 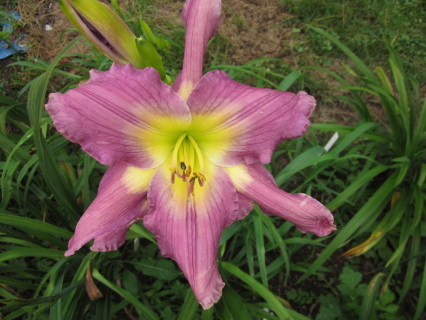 Baby Blue Eyes (Shooter-E., 1998) height 20", bloom 4", season M, Rebloom, Semi-Evergreen, Diploid, 17 buds, 3 branches, Light lavender purple with purple veins and washed blue watermark above chartreuse throat. height 22", bloom 5", season M, Dormant, Diploid, Slate lavender with wide magenta purple midrib and deep purple eyezone above green throat.